With the most advanced Ayurveda medical training in the United States, our practitioners are happy to introduce you to Ayurveda: the ancient and holistic art and science of Indian traditional medicine. Let our highly qualified team help match you with a suitable practitioner. At Roots of Wellness Ayurveda, we offer whole health care to families and individuals, women, men and children. Let us help you find an Ayurvedic practitioner that best suits your needs. When you visit a Roots of Wellness Ayurveda practitioner you will receive a highly individualized health care plan, natural and organic plant-based medicine, profound self-care recommendations, optimal lifestyle choices, and diet modification to achieve wellness, longevity, and health. If you are ready to step into radical self-care – you’ve come to the right place. Let us help you find a practitioner. Heather Baines AD RAAP is the founder and managing director of Roots of Wellness Ayurveda. A cooperative of Ayurvedic practitioners, Heather founded Roots of Wellness with Terra Rafael in 2014 and expanded in 2017 to include Ayurvedic bodywork and pancha karma body therapies. Heather Baines currently serves as President of the Board of Directors of the Colorado Ayurveda Medical Association (COLORAMA) which aims to advance public understanding, acceptance and adoption of Ayurvedic health care. She previously served on the COLORAMA Board as Governance Chair and has been a board member since 2014. 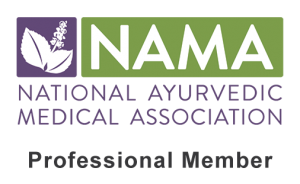 A Professional Member of the National Ayurvedic Medical Association (NAMA) since 2012, Heather has received recognition as an Ayurvedic Doctor, and is a Registered Advanced Ayurveda Practitioner with the Association of Ayurvedic Professionals of North America (AAPNA). Heather graduated Ayurved Vaidya Visharad (Ayurvedic Practitioner) in 2012 and Ayurved Bhishakgwara (Ayurvedic Doctor) in 2014, having attended Alandi Ayurveda Gurukula full time from 2010-2014 under the primary instruction of Alakananda Ma and Dr. Bharat Vaidya (Ayurved Sadhana). From 2012-2014 she was Pharmacy Director at the Alandi Ayurveda Clinic and Gurukula, mastering the art and science of custom formulation and Ayurvedic medicine making. Heather extends a deep bow of gratitude to her lineage of teachers living and passed: Alakananda Ma and Sadananda-ji, Dr. Bharat Vaidya and his family at Ayurved Sadhana for advanced studies of Ayurveda, Paramahamsa Hariharananda, Paramahamsa Prajnanananda, Paramahamsa Yogananda, Shri Anandi Ma and Dileepji. 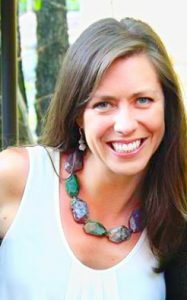 Nicole Herbert AD LMT joined Roots of Wellness Ayurveda in April 2017. 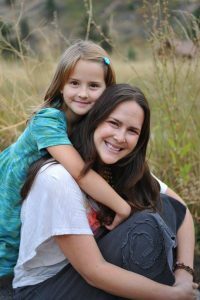 Raised in Michigan, Nicole has been a Colorado resident since 1994, a mother since 2007, and has pursued her studies in Ayurveda since 2013, recognized by NAMA as an Ayurvedic Doctor in May 2017. 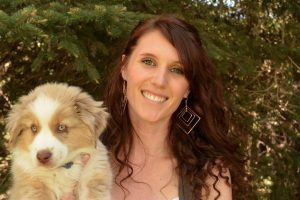 A lifelong interest in natural wellness led Nicole to massage therapy in 1999, when she graduated from the Healing Spirits Massage School in Boulder. She deepened her commitment to health and beauty in 2002 when she became a licensed cosmetologist for hair, skin and nails through Antoine Du Chez, and she has enjoyed beautifying and nurturing her clients ever since. Her talents in the field of hair led her to be asked by Proctor and Gamble to fill the position of Lead Technical Trainer for Wella, the largest hair color company in the world at the time, Sebastian and Nioxin. In 2013, a variety of health issues left Nicole’s medical doctors baffled which led her to leave her corporate job to pursue personal healing and a new career in Ayurveda. Four years later, Nicole graduated from Alandi Ayurveda Gurukula, healthier and happier than ever before, and ready to support others in the journey towards self-healing. She is the current Pharmacy Director at the Alandi Ayurveda Clinic and an active member of the National Ayurvedic Medical Association (NAMA) and the Colorado Ayurvedic Medical Association (COLORAMA). When not caring for clients at Roots of Wellness Ayurveda, Nicole is doting on her daughter Mazzy, gardening or playing outdoors, or traveling the world in pursuit of deeper understanding of other cultures. 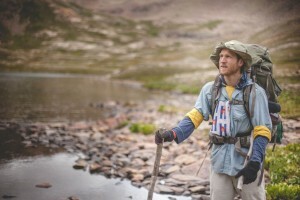 David McConaghay AP be spotted regularly up and down the front range offering his unique and inspiring perspective on the Vedic Sciences including Yoga, Ayurveda, and Jyotish (Vedic Astrology). Deeply trained (RYT-500) in the Sivananda yoga tradition and holding a B.A. in English from the George Washington University, David earned recognition as an Ayurvedic Practitioner in 2016 and anticipates completing his final practicum to become a NAMA certified Ayurvedic Doctor at Alandi Ayurveda Gurukula in May 2018. David serves on the board of COLORAMA (the Colorado Ayurvedic Medical Association), has recently earned certifications in Jyotish (Vedic Astrology) and Permaculture Design, plays soccer for Harpo’s FC, and is a regular contributor to Gaia (formerly GaiamTV), Yoganonymous and Hanuman Festival. David is enthusiastic about the overlaps between ancient Vedic sciences and futuristic physics. He makes the esoteric accessible. With David’s guidance, he will help you understand the structure of space-time to benefit your daily actions and experience. Focused on practical application, a consultation with David is an ongoing invitation for further inquiry into topics ranging from sacred geometry to Vedic astrology, yoga philosophy or modern geopolitics, subtle anatomy and healing strategies. A student of the Vedic Sciences, Akacia is NAMA certified as an Ayurvedic Practitioner and is on track to finish her studies as an Ayurvedic Doctor in May 2018. She is also a Certified Rolfer, bringing to Roots of Wellness an unsurpassed depth of anatomy knowledge and experience. When not seeing clients at Roots of Wellness Ayurveda, you can find Akacia attending and performing music festivals throughout Colorado, where she offers her extraordinary and ethereal talents on the hang (an other-worldly instrument crafted from two half-shells of nitrided steel sheet to act as a Helholtz resonator). She currently serves on the board of COLORAMA (the Colorado Ayurvedic Medical Association). Need more help choosing a practitioner? Call us today and we will help you find a practitioner best suited to your healthcare needs. Our Ayurveda Practitioners are not licensed physicians or medical doctors. As appropriate, we will work with you to coordinate your Ayurvedic healthcare protocols with your medical care team. All herbal and supplemental remedies and formulations are checked for pharmaceutical drug interactions and contraindications, as well as for efficacy based on published scientific medical research. We operate with the highest standards of care and integrity, in full compliance with the Colorado Natural Health Consumer Protection Act, Colorado SB 13-215. For more information about Health Freedom in Colorado, please visit our friends at National Health Freedom Action.